The bananas show scale on this puppy. 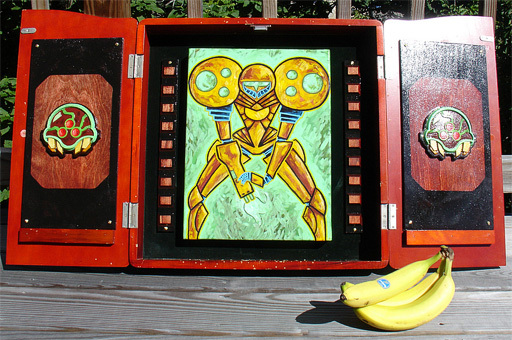 The dart cabinet was originally rescued from the trash. This piece is still unsold! Interested parties should contact Kelli Nelson or Myself.